If you're looking for a fun and easy project, printable paper crafts are a great way to go. To make these exciting projects all you need are a computer, a printer, and a few simple craft supplies. You can create gifts, decorations, and more. You can use this fall tree craft to have a record of guests at a party or shower, make a family tree at your family reunion, or simply create cute wall art for your home. It's easy enough to do with kids, but it also makes a great craft for adults. If you need help downloading the printables, check out these helpful tips. 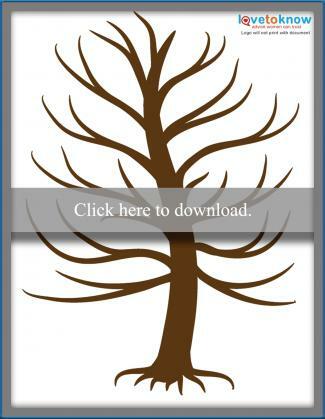 Click on the image of the tree to save it to your computer. Print the tree on medium-weight paper. Have each person press his or her finger on an ink pad and then make a print on one of the tree branches. If desired, have each person write his or her name along the branch next to the fingerprint. When the tree is dry, frame it for display. 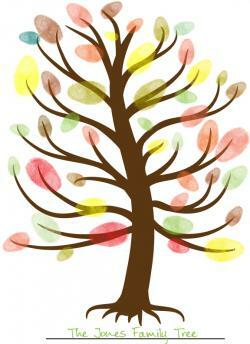 Print this fall fingerprint tree craft. 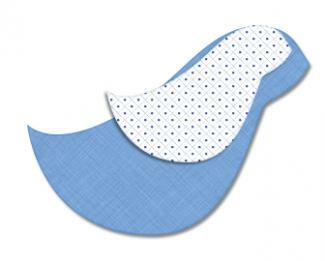 This cute bird-shaped bookmark makes a sweet gift or a fun project to keep for yourself. It's great for older kids, since it uses some cutting skills and encourages reading. Click on the image of the bird bookmark and save it to your computer. Print the bookmark on cardstock. Cut out both bird pieces. Turn the smaller bird over and place two pieces of double-sided tape on the back in the shape of a right angle. Press the smaller bird on top of the larger bird to stack them together. To use the bookmark, simply slide the corner of the page between the two layers. 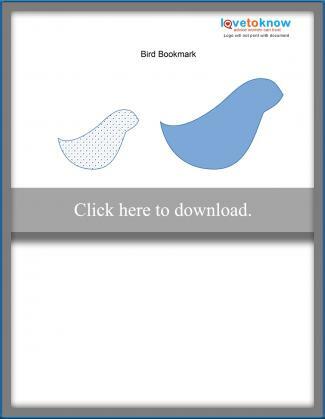 Print this bird bookmark craft. If you're having a family gathering or a dinner party, printable napkin rings can be a fun craft. 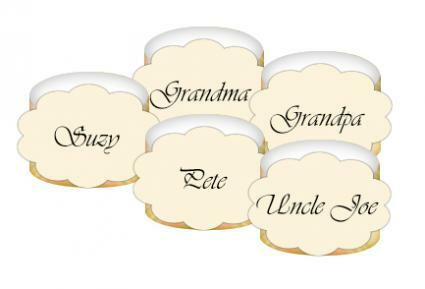 These rings double as place cards, since you can write each person's name on them. 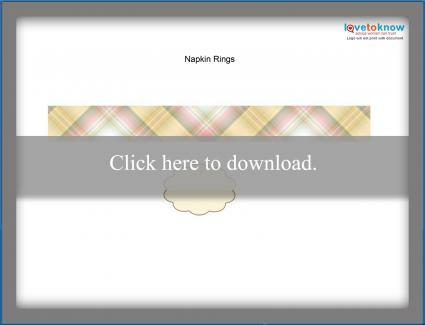 Click on the image of the napkin rings to save the file to your computer. Print out the napkin rings. Cut out the strips of paper that will go around each napkin. Use a piece of double-sided tape to form each strip into a ring. Cut out the personalization ovals. Write the name of one of your guests on an oval. Attach it to the ring with double-sided tape, covering the place where the paper overlaps. Repeat for each person at the gathering. Insert a napkin into each ring. Print this napkin ring craft. Use this penguin standup to make cards, placecards, nametags or small signs for Christmas or winter-themed parties. Use cardstock, construction paper or other heavyweight paper for best results. 1. Print the penguin. You can use a copier to resize it as needed. You may either use the printout as your standup, or use it as a pattern to make penguins without printed features. If you want to use the printed penguin, but cannot print on heavy paper, you can glue the penguin to a cardstock backing before cutting it out. 2. Fold the cardstock in half, leaving room for the entire penguin on the folded paper. 3. Place the top of the penguin's head along the fold of the paper and cut around it. When you open it up, it will stand up. You can decorate it with paint, markers, crayons and anything else you have around. If you plan to use decorations that may be heavy (glitter glue, sequins, ribbons), make sure your paper is heavy or your penguins will fall over. 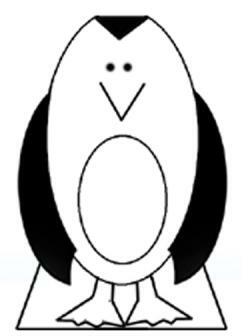 Printable Penguin Paper Craft - This kids' craft is a great choice for winter fun. 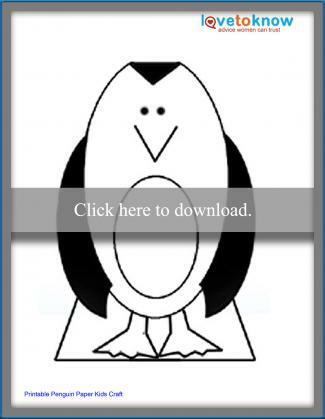 You'll love making printable penguins. Printable 3D House - This printable house from DLTK's Crafts for Kids is cute and fun. Kids can print a black and white version they can color themselves. Printable Snowy Owl - This printable from Learn Create Love allows kids to cut out and assemble an owl they can decorate. Printable Frog Craft - Kids can print a jointed frog craft using this printable from SmartyPantsFun. Printables make paper crafting easy. If you're short on time and want to create something cute, there's no better way to start crafting. Try these free projects the next time you need a little entertainment for your kids or yourself.